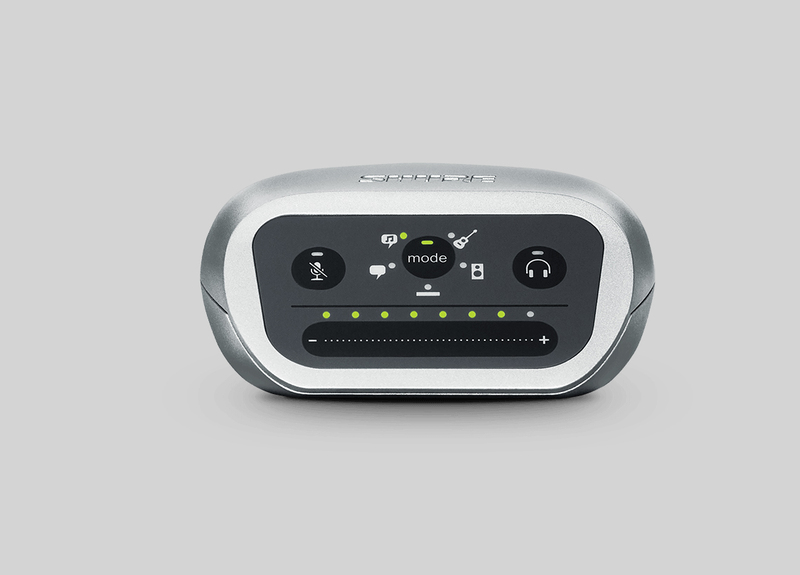 Pocket-size creation to bridge the analog and digital world. 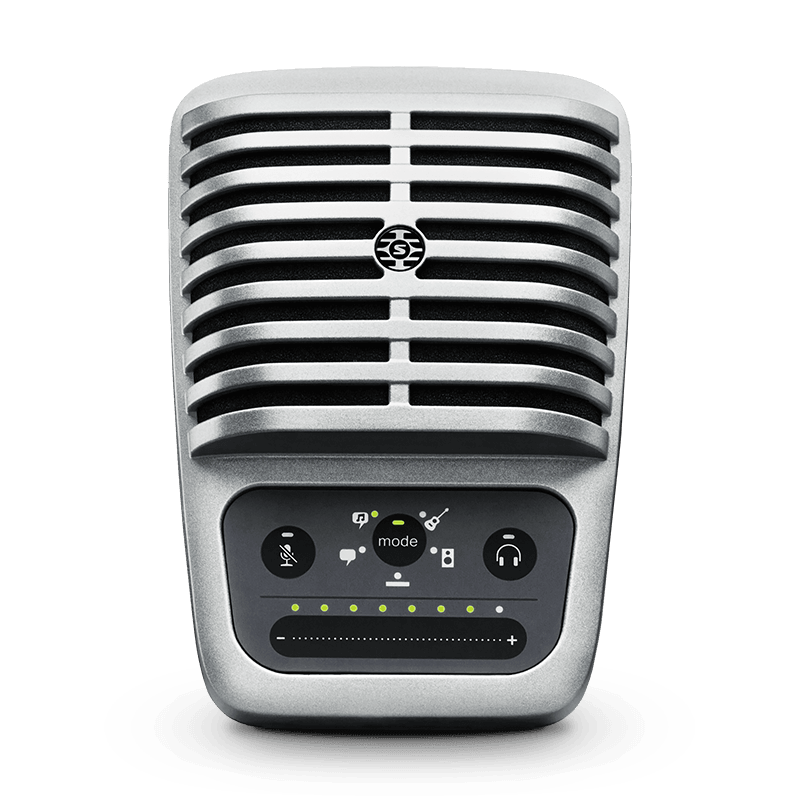 Simply plug your favorite analog microphone into the XLR or ¼” jack and make quick adjustment with the intuitive onboard touch panel. 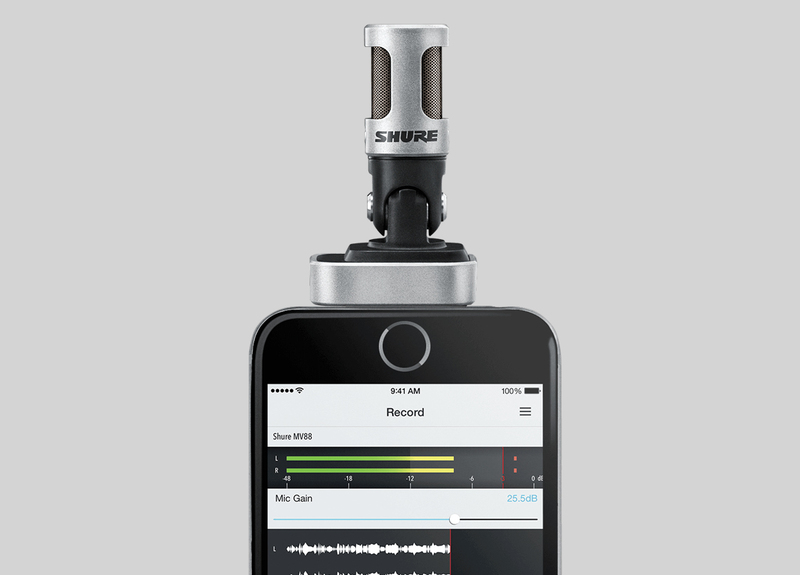 Digital condenser microphone records high-quality audio and is supported by the ShurePlus MOTIV app to enable mixing on iOS platforms. 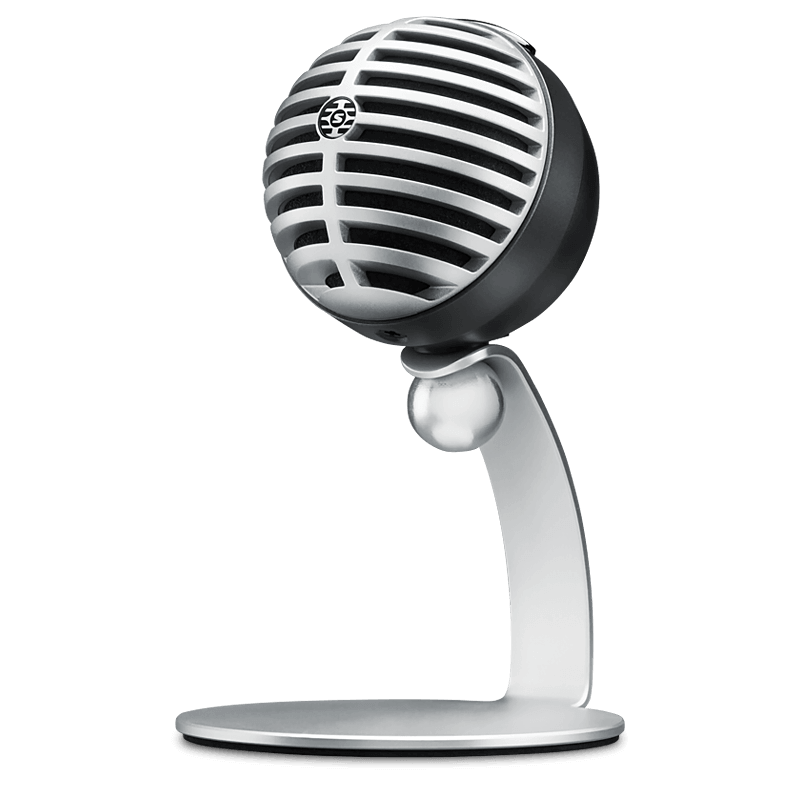 Includes headphone output for audio monitoring, 3 DSP presets to tweak gain, EQ, compression, and a desktop stand.